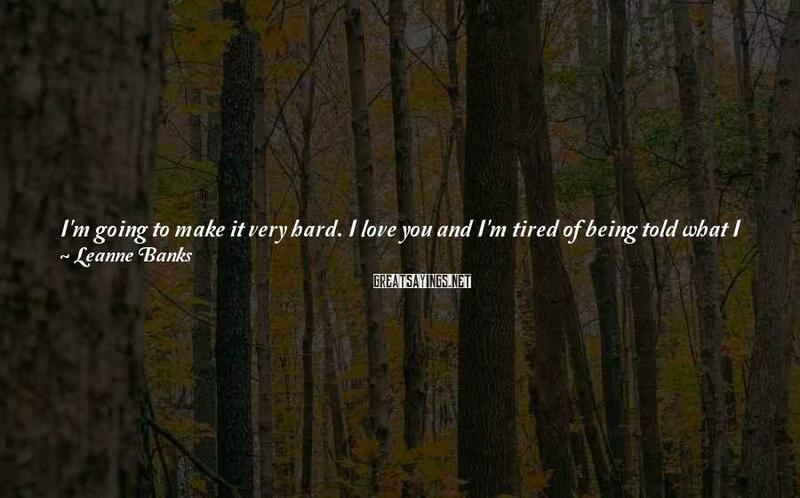 I'm Going To Make It Very Hard. 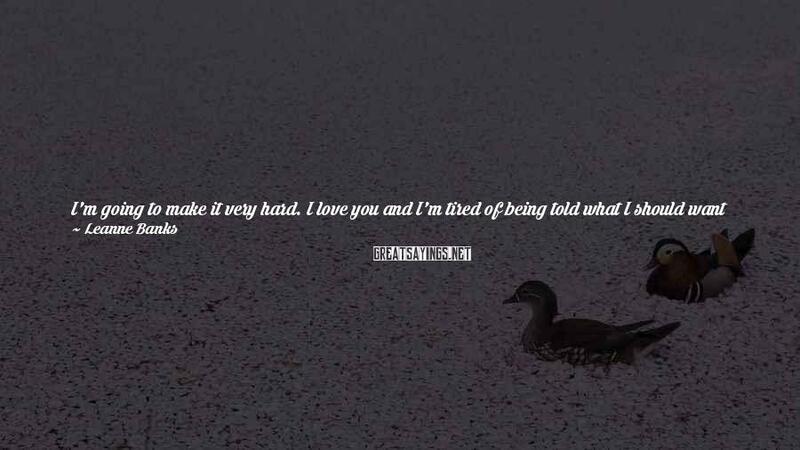 I Love You And I'm Tired Of Being Told What I Should Want And What I Should Do. You And I Got Married And I Can Stomp My Foot And Scream And Rail At You Because Of The Deal You Made With My Father, But The Truth Is I Wouldn't Have Married You If I Didn't Want To". She Took A Deep Breath. "And I Don't Think Anyone. Including My Father, Could Have Forced You To Marry Me. So, Mr. Megalos, Consider Yourself Stuck With Me.